Book your stay on the island of Ischia by April 10, 2019, and save 20%. 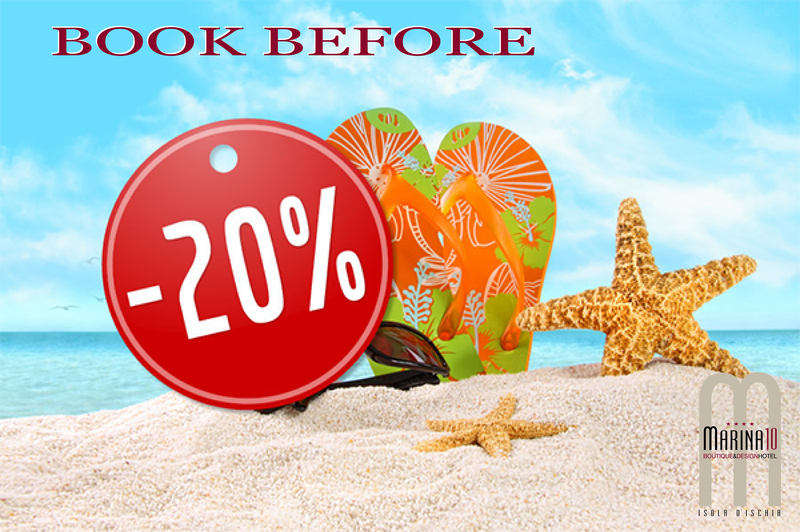 Choose the date that best suits you, contacted, and you will receive the listed rate of 20%. from April 19 to 09 August 2019 and from 25 August to 21 October 2019. The rates above are for 4 days/3 nights stay per person with bed & breakfast treatment, Iva and all the taxes in force today. City tax not included and to be paid directly at the hotel: € 2,00 per day per person.